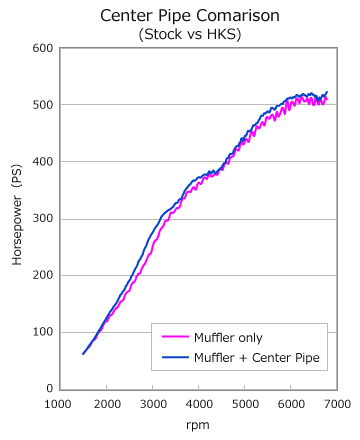 Center Pipe used for GT570/GT600 Racing Package. We have reduced the exhaust resistance by taking out the 2nd catalyzer and make the catalyzer straight for best result. There are 2 type, one with the silencer and one without the silencer. It's for racing only because there is no catalyzer. * We didn't checked the vehicle that changed muffler. 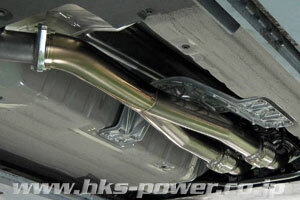 GT-R R35 VR38DETT 07/12- φ74.7x2 - φ85 1 33004-KN002 Only for race use. Silencer not included.